Date and time: SATURDAY 26TH NOVEMBER 2016 – 7.30pm until late. 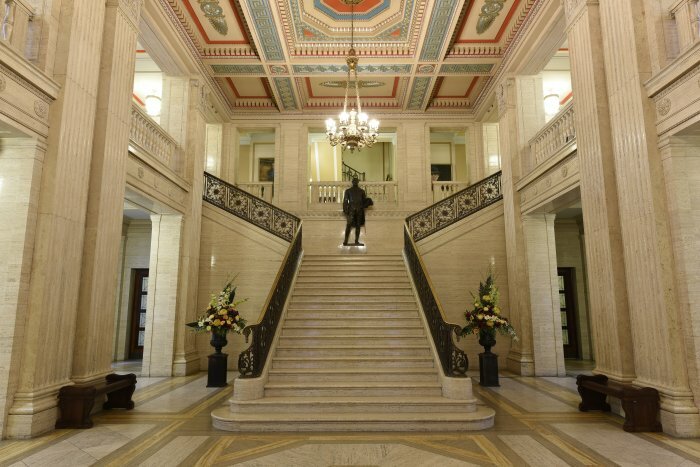 Venue: The Great Hall, Parliament Buildings, Stormont, Belfast, NI. Friday 25th November 2016 is International Day for the Elimination of Violence against Women, and marks the start of the 16 days of events and awareness around the world, concluding 10th December 2016. To mark this event, Belfast author, Alicia V. Perry, has organised an International Conference and Networking Evening on Coercive Control. Shane has over 18 years of policing experience, and has worked his way up through the ranks of the Greater Manchester Police quite quickly. Once Head of Training for GMP, Shane now runs his own international policing organisation, sharing best practices around the world. He has valuable experience of Clare’s Law in England and Wales, together with cultural integration and religious beliefs. Alicia Perry was crowned Miss Ireland 2016 at the start of the year for Face of the Globe Beauty Pageant, however, she pulled-out of the World Finals, citing her own recent domestic violence as the reason. In March, she spoke out publicly for the first time about her experiences at Stormont, to mark International Women’s Day 2016. Alicia is the lead campaigner for Donna’s Law NI, a Community Ambassador for Women’s Aid Federation NI, and is also a member of the Board of Trustees for The Rainbow Project NI. Sponsored by Robbie Butler MLA. Alicia is currently looking for a sponsor for the event to enable a buffet to be served. Car parking and Bar Facilities will be available on the night.